It was with great pride that I published last year’s World Theatre Day speech by Canadian icon Robert Lepage here on The Next Stage. The International Theatre Institute, a organization comprised of 96 member countries (or centres, of which Canada is not yet one), has celebrated March 27 as a day to honour the devotees of performance art the world over since 1961. Every year a theatre arts luminary is invited to compose a speech in honour of the day, and to have that speech read before performances on that day all over the world. As someone who is fortunate enough to be in constant communication with amazing theatre artists around the world through my submersion in the blogosphere – peers that I am constantly being educated and fueled by – I find the idea of celebrating our common passion together on one devoted day enchanting. A small group of us from Canada, the US, Australia and Great Britain have started a little town square here on the World Wide Web to hang out in on March 27 and share our unique experiences of the day together. Our intent is to celebrate community and leave behind a chronicle of the party. Please join us, the door is wide open. Boal took an interest in theatre at an early age, but did not become involved himself until he received his degree. Shortly after graduating from university, Boal was asked to work with the Arena Theatre in São Paulo, southeast Brazil. It was here that he began to experiment with new forms of theatre. Boal’s teachings were controversial, and as a cultural activist he was seen as a threat by the Brazilian military regime. In 1971 Boal was arrested and tortured. 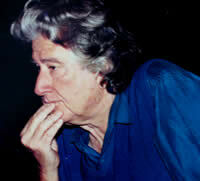 He was eventually exiled to Argentina, where in 1973 he published his first book “Theatre of the Oppressed“. He later fled to Europe, and eventually lived in Paris. There he taught his revolutionary approach to theatre for 12 years, creating several Centers for the Theatre of Oppressed, and in 1981, organizing the first International Festival for the Theatre of Oppressed. After the fall of Brazil’s military dictatorship, Boal returned to Rio de Janeiro where he lives to this day. He has since established a major Center for the Theater of the Oppressed in Rio (CTO Rio), and has started over a dozen theater companies that work to develop community-based projects. My pride this year comes not from being able to reprint Mr. Boal’s speech, but to be able to link to it on a bunch of other blogs. It’s such a great indicator of the surging of the popularity of my beloved art form. The revolution will not be televised, but it just might be blogged. Theatre nerds unite! Are Vancouver stages too white? Thanks for this Simon. I too will link it on our blog. But the idea that ‘we are theatre’ rings so true. The human condition with all it’s highs and lows. The grand and the petty. I love immersing myself in that and putting it on a stage. It’s what draws me in more than books and poetry and movies. Too right Lindsay. The notion that ‘theatre is everywhere’ kind of rules my life, it’s the lens that I’m cursed with watching the world through. It’s certainly reflective in my own work as a playwright. The unpublished theme of the weekly photo header on this blog is actually ‘theatre is everywhere’.